The Defence Headquarters and Inspector General of Police (IG) Ibrahim Idris said no security force was informed of Dapchi School Girls abduction as alleged by Amnesty International (AI) in its latest report. No fewer than 110 female students of Government Girls Science and Technical College, Dapchi, Yobe State were on February 19, abducted from their school by the insurgents. The girls are still in captivity of the terrorists. In its report on the abduction, Amnesty International had accused the nation’s security agencies of ignoring information on the presence of a large number of the insurgents in the area shortly before the abduction but failed to act on the tips. But, besides dismissing the report as a calculated attempt to whip up sentiments against the military, the Defence Headquarters said AI was doing everything possible within its power to frustrate the United States (U.S.)/Nigeria Anti -Terrorism cooperation backed by President Donald Trump. A statement issued by the Acting Director of Defence Information, Brig. Gen John Agim, maintained that “the Armed Forces of Nigeria is a professional military and has attained the highest form of professionalism in line with international best practices. 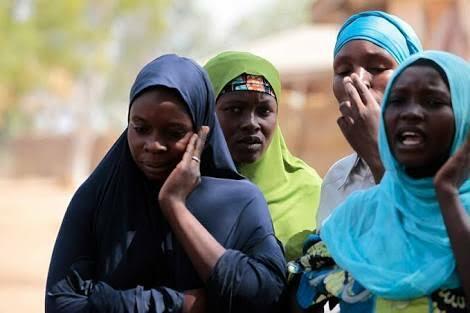 And so, could not have ignored warning of Boko Haram attack only to work tirelessly to get the girls back”. Brig. Gen. Agim in the three-page statement asserted that there was no iota of truth in the latest report from the international body, saying its position was meant to pre-empt the work of the Federal Government Committee working on the Dapchi girls matter. The statement reads: “The Defence Headquarters wishes to respond to Amnesty International (AI) report in which the group alleged that the Nigerian Military and security forces were informed that a convoy of Boko Haram fighters were heading towards Dapchi in Yobe State to abduct some school girls and failed to act accordingly. “Apart from questioning the motive of Amnesty International, it is pertinent to state that most of their narratives were outright falsehood and a calculated attempt to whip up sentiments and mislead unsuspecting Nigerians, demoralise friendly nations and people collaborating with security forces to end the forces of evil in the Northeast. For the avoidance of doubts, no security force was informed of Dapchi school girls abduction as alleged by AI. The statement said: “It is not proper for an organisation like AI, which do not mean well for Nigeria, going by their previous reputation of denigrating the security forces anytime they make gains against the forces of evil to incite the Nigerian public and international community against the military. “Some of our Services Chiefs, senior commanders prosecuting the war against Insurgency and even some heads of security and paramilitary services are from the Northeast. They have put their lives on the line severally to end the madness in the Northeast. Idris, who spoke at the Force Headquarters during a meeting with Squadron, Counter Terrorism Unit (CTU) and Special Protection Unit (SPU) Commanders, said: “You are all aware of the abduction of Dapchi school girls by this horrible Boko Haram in Yobe States. Though not the fault of the police, the incidence was a national embarrassment.